I have seen bad windows for Everton before. I have seen us add a lad caste off from championship Ipswich and a lad who played for mid table championship Millwall while losing our leading striker (Radzinski) and player (Rooney) having finished 17th the season previous. The business of that summer left me feeling relegation would follow. We came 4th. I have seen us not sign a player for 2 years, and lose key members of the first team squad, such as Peinaar, Beckford and Arteta in the same time frame. I have seen us start seasons with teenagers in the first 11, not because of a progressive youth policy but because nobody was left. 16 year old Jose Baxter or 17 year old Jack Rodwell having to play minutes for the first team. I’ve seen us lose 4-1 and 6-1 at home on the opening game of the season, such was the lack of preparation. Before evaluating Everton’s performance this window it is worth noting, I’ve seen what a truly horrific window looks like and it’s important to consider this when evaluating where we currently stand. With that disclaimer in mind we also have to note that the competition within the Premier League, particularly from teams 8-20th is stronger than ever, and unrecognizable to the league we competed in 10 years ago. The influx of TV revenues and the equitable distribution of said funds has led to an equitable league. A league where Leicester City can win titles. A league where Arsenal and Manchester United finish outside of the top 4. A league where longstanding members such as Aston Villa make one too many mistakes are brutally punished. It’s a league where most of the 20 teams would probably finish in the top ten a decade ago, yet you’re not sure if any side would finish above Wenger’s Arsenal, Mourinho’s Chelsea or Ferguson’s United. 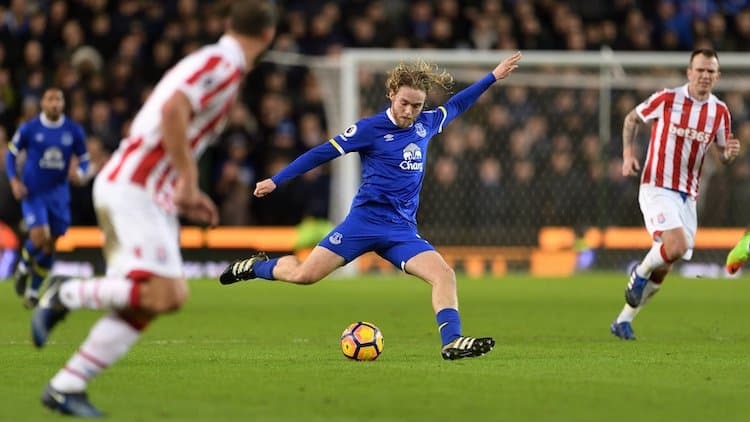 For Everton who have sat on an island between the two leagues for some 15 years there are two competing challenges this presents. The first is the increase in revenues allows opportunity to develop and see through a strategy for success, conversely if the strategy doesn’t work the likelihood is sides will continue to finish above and even overtake Everton. Undoubtedly Everton have had for the most part a successful window, yet we mustn’t be complacent enough to think we are the only ones. If you look at sides such as West Brom who have added a highly rated Polish international, Swansea who’ve attracted Renato Sanches from Bayern Munich or Bournemouth who now pay Jermaine Defoe more in wages than any of our players you can see a crystallization of the second point. These are all teams we would expect to finish above, yet they too have recruited well and look decent outfits. When you consider sides who look set to struggle it’s hard to pin your finger on why. It doesn’t take a lot to get it wrong. West Ham looked at add experienced Premier League players but sit bottom. Palace added a manager I had suggested as a good option for us to consider and currently reside next to them. While they struggled last season they were no worse than the Everton Koeman inherited and part of me sees their struggles and wonders “could that have been us” 12 months ago. Koeman deserves credit for stabilizing the ship so that any fears of further plummeting within the division were quarantined even if the progress was unspectacular. Before this summer I had spoken of this summer being symptomatic of direction of travel for Everton under Moshiri. The response from most Evertonians has by in large been a fine example of conformation bias. If you are pro Bill Kenwright this window can re-enforce that, if you are anti-Kenwright and pro Moshiri (more my position) again there is evidence to support this, or if you are skeptical of Kenwright and Moshiri you can pinpoint a window that we have ultimately failed to deliver on what the manager asked for as ample evidence. Much of the debate seems to regurgitate this, with supporters cherry-picking aspects of the window to suit this narrative.. In trying to evaluate the window objectively I would say the difficulties faced at the end of the window are not as severe as some would suggest but this has to be balanced against our successes at the start of the window are not as transformative as have been suggested. If we start on evaluating the window it does need to be fitted into two parts- namely Before Romelu and after Lukaku. Before Lukaku went we had operated in a swift and astute manner and acquired players who while at the time seemed a tad expensive as the window progressed looked great value. The improvement we made was a quantitative not qualitative improvement. While none of the players we bought looked likely to move us onto the “next level” yet all are solid younger professionals who could stabilize us in the position we are in while being of an age that if improvements came could form the bulk of a side that could potentially challenge at the top end of the league. What was then surprising was the Lukaku sale did not act as a motor but rather a brake for our transfer activity. I had hoped such a sale would push the speed and quality of acquisitions forward yet there was a noticeable slowing. Some will point to coincidence while those from the opposite viewpoint suggest it was evidence of a continuation of the sell to buy approach. As discussed, with confirmation bias there is reasonable evidence to validate both theories. However if it is sell to buy, the fact we went out and bought our targets first before being made to wait until we sell a player to move for targets in a dwindling field is an improvement that should be noted from the Kenwright days. As the window shut, there was much talk of us “needing” x,y and z (namely a centre half and a target man). As I’ve suggested above, that the business we did early in the window was not as revolutionary as we perhaps first thought, but rather a consolidation of cementing ourselves in the top 6 or 7 rather than radically overhauling our position upwards, I also don’t think the situation is as perilous as is being suggested. At centre forward we currently have Rooney, Sandro and Calvert Lewin who can play centrally in a 3. Mirallas, Sigurdsson or even Klaassen may be able to be deployed in a secondary role, or even play the 9 in the more unorthodox “false” 9 that has crept into the game. In wide positions we then have Lennon, Lookman, Vlaasic and possibly Barkley and Bolasie who will return from injury as the season goes on. That is 10 names on the list with 8 currently fit vying for 3 or 4 positions. The problem for me isn’t that we are desperately short but additional complications that emerge from the manager. While I may look at the balance and say if you use Rooney, Sandro and Calvert Lewin exclusively as number 9’s we are ok, it’s clear Koeman wanted someone with experience and a physical profile to play the role. There are legitimate questions about the wider impact on the strategy the manager will have outlined for the season and whether that can be adopted. This is also the second summer where what he asked for hasn’t been either partly or completely delivered. Given he is approaching the final year of his contract you do wonder what the wider ramifications are of the antics and whether he will wonder if this is what he signed up for when he left Southampton to come to Everton? The bigger concern I have is defensively. We have 4 centre backs, 1 is still young and quite green in that position while two are 33 and 35. With the weight of games, and a manager keen to play 3 at the back in games it’s hard to avoid the conclusion we are very light in this area. I am amazed that efforts weren’t made to sign a Lemos, or a Ben Gibson from Middlesborough allowing us to manage the game time of Jagielka and Williams (who both look better for being given ample periods of rest). Perhaps the biggest worry I have, alongside the likely frustration the manager will have is how deadline day played out. It looked as if we were chasing loan’s or free transfers, some suggestions of Raul Giminez (Mexican centre forward) being a loan and Vermaalen also being a loan deal. The conclusions that can be drawn from this are that money was available be we were choosing to pursue loan deals, or more likely there was a limitation of funds at a critical moment. As with most things I have no inside information of this, yet a reasonable summation would be that at such a crucial moment I find it hard to believe we would be scratching around for loans if it could be avoided. My conclusion is that signings were very much dependent on the outgoings of ideally Barkley, Niasse and McCarthy bringing in upwards of 60 million. There are wider implications of this. If there are limits on what is available to spend and our budgets sit around the 6 or 7th in the league there again have to be something of a re-assessment of aspects of the fan base and arguably (and more importantly) for the manager of the club. In the context of such limits (set at a relatively moderate level for our immediate ambition) it makes sense to further enhance the role of Walsh and maximise his expertise in finding value signings. His ability to locate value in areas unforeseen by others in the Premier League needs to expanded and built upon. Such an approach would have ramification for Everton manager Ronald Koeman. There would need to be an acceptance that experienced Premier league signigns may need to be phased out and the pace it will take for us to close the gap on the teams above us may be longer than he may have first imagined it to be. It would almost certainly be longer than the standard length of time he remains at clubs he managers (generally under 3 years). Only those privy to discussions he has with Moshiri will know if this is something he has considered, but as yet it is without precedent and while he is by no means faultless it would be understandable for Evertonians to be concerned about whether Koeman views his medium term future with the club. The blunt reality for Everton is to catch and overtake the sides above them we either have to spend more than them, or we have to work smarter than them. Given most spend upwards of 100 million a year and given Moshiri’s words where he outlined his concerns at how much the top sides spent I find it unlikely Everton can blow such sides out of the water financially. Spending in a smarter manner has to mean finding players from more unfashionable leagues before they access them which underpins the centrality of Director of football Steve Walsh who thankfully excels in this. Going forward the big challenge for Everton will now surely be to have a summer where key assets is not sold. While fans have been understanding to the departures of Lukaku, Stones and even Barkley (if he leaves) as collateral in the mess left behind my Martinez most of the squad have not been purchased by the new regime and fans will be less forgiving of players having to leave. The acid test for the new regime will be whether investment an continue without requiring high profile sales to underpin that recruitment. While all of the above are concerns one particularly pleasing aspect of the window is that we have seen the emergence of a plan, that seems sensible given the profile of the club and offers us the opportunity for potential success going forward. Most notably there has been a significant investment in younger players, for the first team (Keane, Pickford & Klaasen), the first team squad (Sandro, Onyekuru, Vlasic) or teenagers for our under 23’s (Gibson, Bowler). The club have also secured loans to championship teams for most of our talented teenagers who now have a fantastic opportunity to both continue their development and make a pitch for the first team squad next season. While most teams can pinpoint talented young players, few have a pathway as successful as Everton’s where even now I would expect 6 lads under 21 to be involved in first team football this season (Davies, Lookman, Vlasic, Calvert Lewin, Kenny and Holgate). Having called for the adoption of a strategy last summer and particularly an approach that focused heavily upon lads under 25 I am delighted the club seem to have moved in the same direction and implemented the strategy with great success. What is critical as stated above is the desire to keep this group together for 2/3/4 years, ideally with the same manager and allow them year on year to improve, in a manner that Spurs have done over the last 3 years. 1) Our squad is not as sparse as we think. It’s more rounded now, though we will miss Lukaku’s goals. 2) The budget we have doesn’t allow us to catch the top 4/5/6 teams in one window. It’s questionable whether FFP could allow us to do it even if we wanted too. 3) To overtake teams above us we need a disciplined plan. We have seen the first signs of this this window. The investment in younger and more obscure players is a positive. Walsh’s influence should be expanded to do more of this. Don’t think Chelsea or Manchester City, think Monaco, Athletico Madrid, Sevilla or in this country Spurs. 4) Unsworth and Koeman play a critical role in this. Both have shown capability of developing younger players. The club has to have a manager that shows a pathway for young players to help them attract the best younger players. 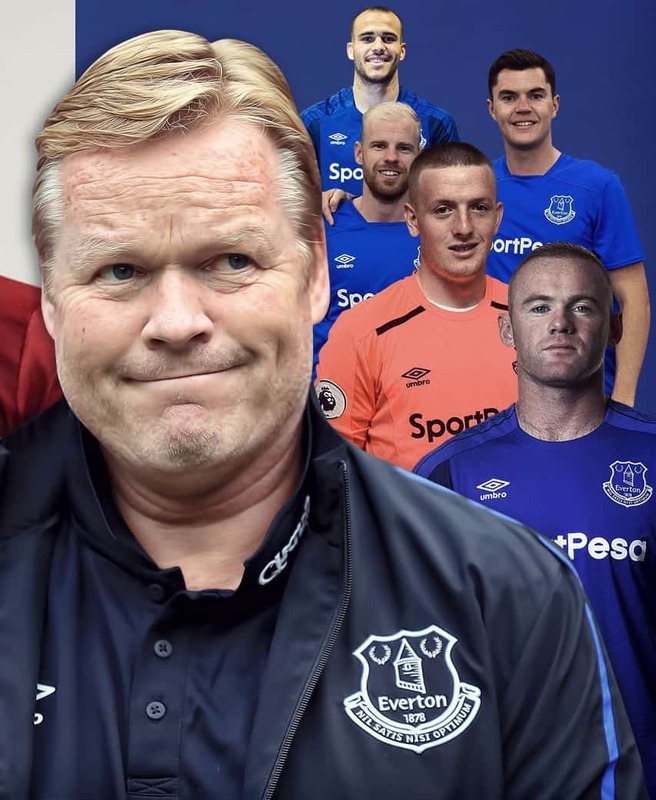 5) The big challenge for Everton will be to keep the squad together and convince Koeman Everton are the club to commit his long term future too.